The township planning board approved a recommendation for Cherry Hill Township Council to adopt the plan at its March 20 meeting. Council is expected to consider the plan at a later day. 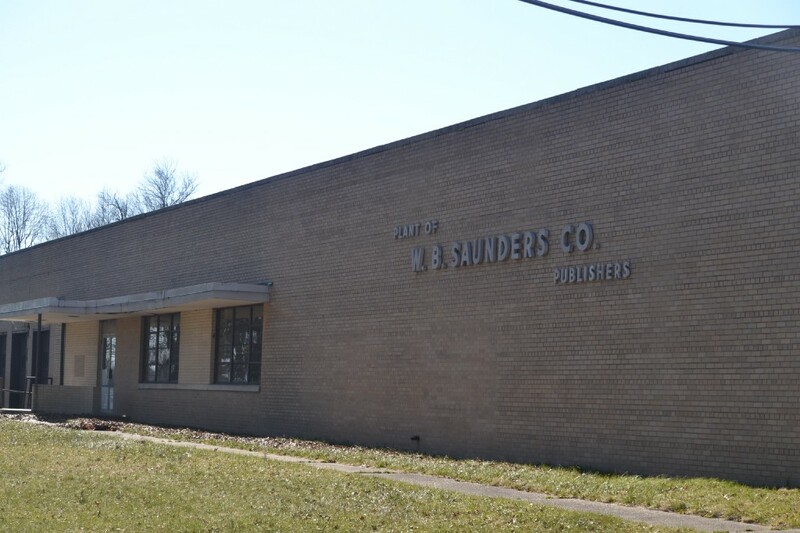 For more than a decade, the building formerly housing Saunders Publishing Company has sat unused and in a deteriorating state. The site may look completely different in the near future, however, as Cherry Hill Township is moving forward with a redevelopment plan to bring 300 new residential units to the area. Last Monday, the Planning Board approved a recommendation for adoption to Township Council for a redevelopment plan for the Hampton Road Redevelopment area. The proposed redevelopment would bring 300 residential units to more than 20 acres of land sandwiched between Hampton Road and Cuthbert Boulevard. The redevelopment site, located on the west side of town near the border with Pennsauken and Merchantville, mostly consists of the former Saunders Publishing building. The facility has not see any activity since 2002. The site also includes a former Bell Atlantic Telephone service operations center, a small office building and two parcels of undeveloped wooded land. All five properties were declared areas in need of redevelopment in 2015 and 2016. Cherry Hill Land Associates will be designated the redeveloper for the site. In a 2015 agreement with the township to preserve Woodcrest Country Club, CHLA was permitted to build residential developments at three sites in the township. The Hampton Road redevelopment area was one of the three sites named in the agreement. Palmer said great care was taken to have the buildings in the redevelopment area blend in with the nearby Still Park neighborhood. The complex will consist of a mix of two- and three-story multi-family residential buildings, as well as two four-story residential buildings. The four-story buildings are located furthest from residences and are located in the back of the property near the Courier-Post offices. The two-story buildings located along the property edge nearest the Still Park neighborhood are being modeled to look similar to existing nearby homes. Some residents presented concerns on social media about developing the two township-owned wooded parcels, specifically wondering how many trees would be taken down during development. The plan says existing trees along the residential buffer, “will be preserved as much as possible.” It also notes landscaping along the residential edge of the property will be dense. Palmer said the redevelopment plan will include more green space then what is present on the site. The plan includes two large lawn panels, a dog walk park, a playground and a pool area. Combined, the lawn panels alone are required to be at least 0.75 acres. The redevelopment plan also prohibits traffic from entering the Still Park neighborhood. Vehicles will only be able to access the property through either Cuthbert Boulevard or Hampton Road. “One of the things we’ll take care to do as the site plan is developed is to direct traffic onto Cuthbert Boulevard,” Palmer said. Palmer said township officials had a meeting with leaders of the Still Park neighborhood a couple weeks prior to the planning board meeting to talk about the plan and answer any questions. Council must adopt the redevelopment plan as an ordinance prior to taking any action. No date has been set for when council will consider the plan.